Time flies when you’re having fun. I am so happy and grateful for everything I’ve been through and that I can still keep on doing what I love most of all. To the question what she gets her energy and inspiration from she replied she’s at home as much as she can. She can’t wait for spring to come, listening to the birds. She doesn’t like winter. She talks about how difficult it is – after her illness – for her to write lyrics to songs, she usually starts with the music. She is very proud of Sista sommarens vals, the one and only song she wrote for her new album, “Nu!”. 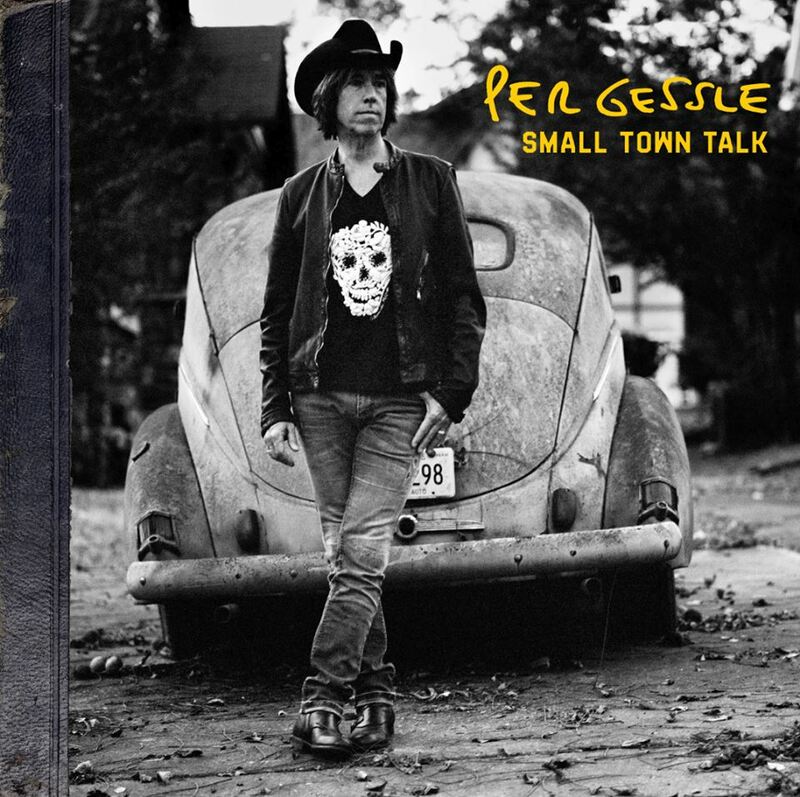 About Per Gessle she says he has been a great support for her over the years and when it was the hardest time of her life. He is a very dear friend to her and they have a very good sister-brother relationship. Marie is happy that Per wanted to write a song to her in Swedish. That song is Känn dig som hemma. Ms Effe says she likes Kom vila hos mig very much on the new album. That was one of the first songs Micke wrote for the album. She says to Helsingborgs Dagblad she wants to pull the audience in up-tempo songs and wants to convey proximity in ballads during the tour. She thinks each tour is something new, every audience is special. It means a lot to her to tour in Sweden again after so many years. She wanted to start the tour in Helsingborg, as she feels like home there. It’s extra fun that now Jokke Pettersson, her nephew is in the band, too, next to of course, Mikael Bolyos. Pelle Alsing, Christoffer Lundquist, as well as Surjo Benigh are also in the band. To the question what comes after the tour she replied she always tries to take one thing at a time and now all the focus and energy go for the tour. 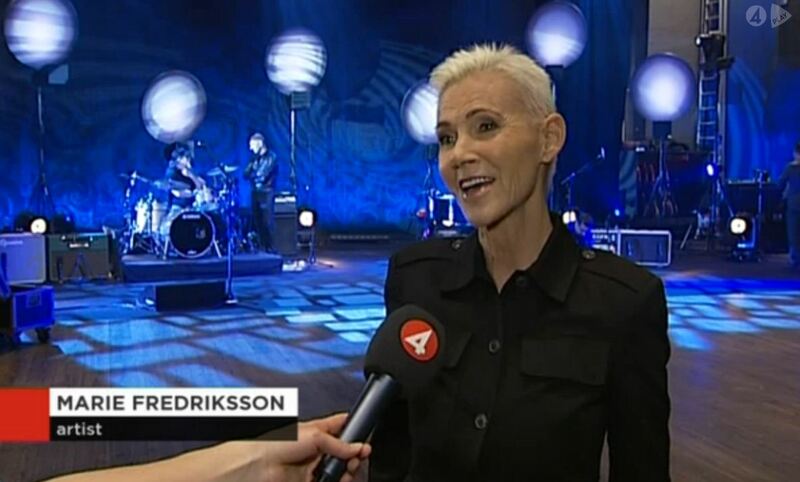 TV4 met Marie and the band during the rehearsals and did a very short interview with her. In the video we can most probably see the final design of the stage and the final outfits. Ms Effe says in the interview that her head is spinning, but she’s very happy about touring in Sweden again after so many years and it’s gonna be so much fun. She takes it easy. Lovely to see her in such a good mood in the video. You can hear Bara för en dag in the clip, so this song will surely be performed during the tour. It sounds goooood! A bit less than 5 days left!!! CLICK HERE or on the picture to watch the video! 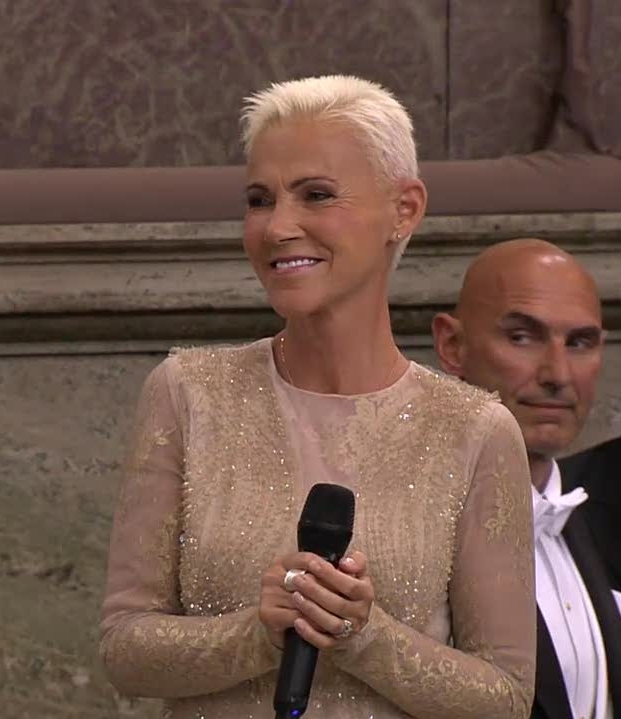 As several online sources informed today, Marie is currently working on a new album – it will be the first Swedish album with original songs since her “I en tid som vår”, 1996. Her “Min bästa vän” record from 2006 was a cover album. 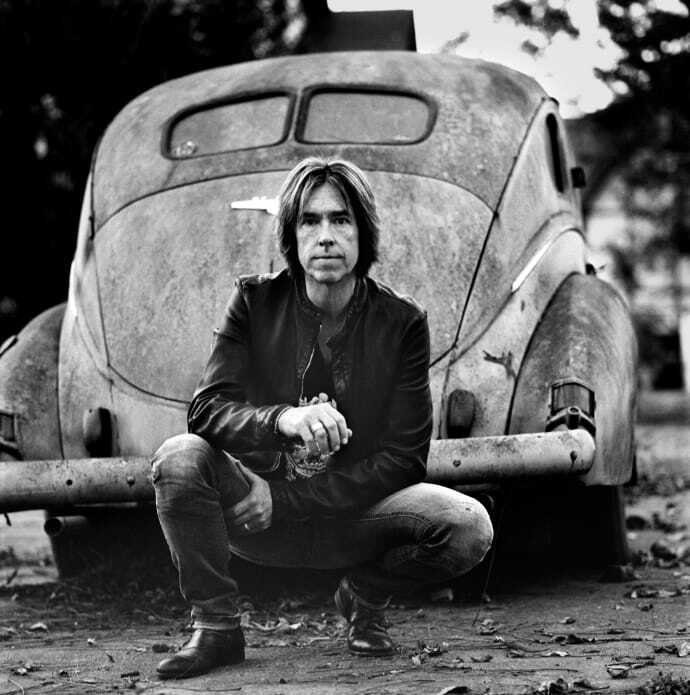 According to an article on Aftonbladet, Per Gessle is going to start recording a new solo album soon, “I have booked a studio for a solo album,” he tells Aftonbladet. The reporter asks him about the rumous about a Gyllene Tider comeback next year, to what Per answers it’s a 50-50 chance that there will be a tour. “We have talked about it for many years, it’s not easy to come back. I think it’s a fantastic pop band, but it’s not in my hands.” He also explains that the other GT members are booked for other things, so it would be a lot of shifting and replanning to make it true. He also tells that he doesn’t think the songs he wrote for his solo album could work with Gyllene Tider “It’s two different things”. Per is not sure if a solo tour could be an alternative, “I don’t know, we thought of doing something with Roxette in 2014 so it might be good to take it easy,” and adds, joking, “I am not 50 anymore”. My personal comment: In any case, 2013 is surely going to be an interesting year – and I don’t believe the “take it easy” part of it.